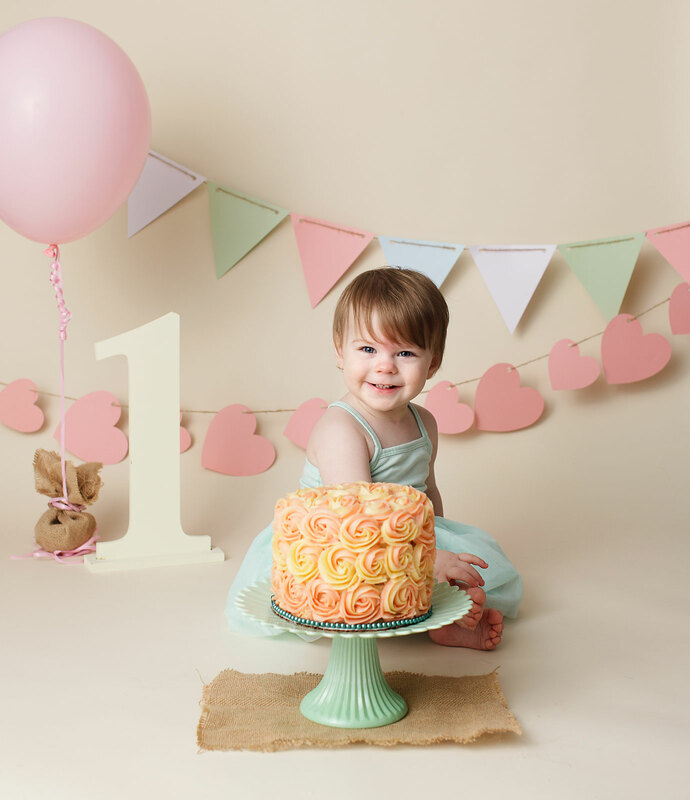 I loved working with Eleanor’s mum (an artist herself) to create this beautifully soft, personalized cakesmash set up. The colours are a toned down version of Eleanor’s parent’s wedding colours – what a perfect way to celebrate the 1st birthday milestone of their first child. It’s important to have an attractive set-up, something cute that will allow the baby’s beauty to shine. Whenever possible, I like to use something personal- colours, a symbol, a family heirloom, to include in the session to create even more memories. 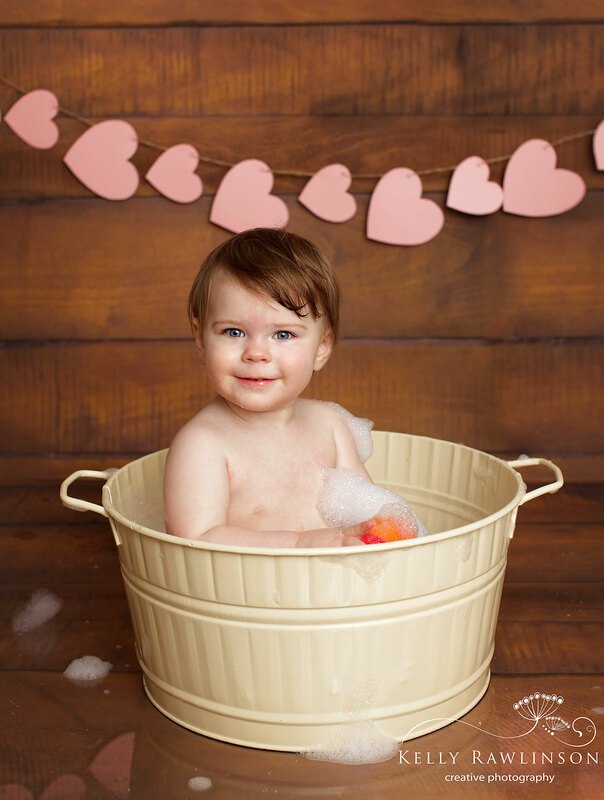 The nursery walls will get painted over, crib bedding replaced as your child grows, all of this forgotten….why not include the memory of it in photographs that will last a lifetime? Eleanor was quiet, but curious, cautious yet playful. She needed a little encouragement to dig into the sugary goodness and smash the cake (thanks mum and dad for sampling and showing her how! ), but I think in the end she enjoyed herself! Here are just a few of the images captured during our session together. Happy Birthday to the special birthday girl! 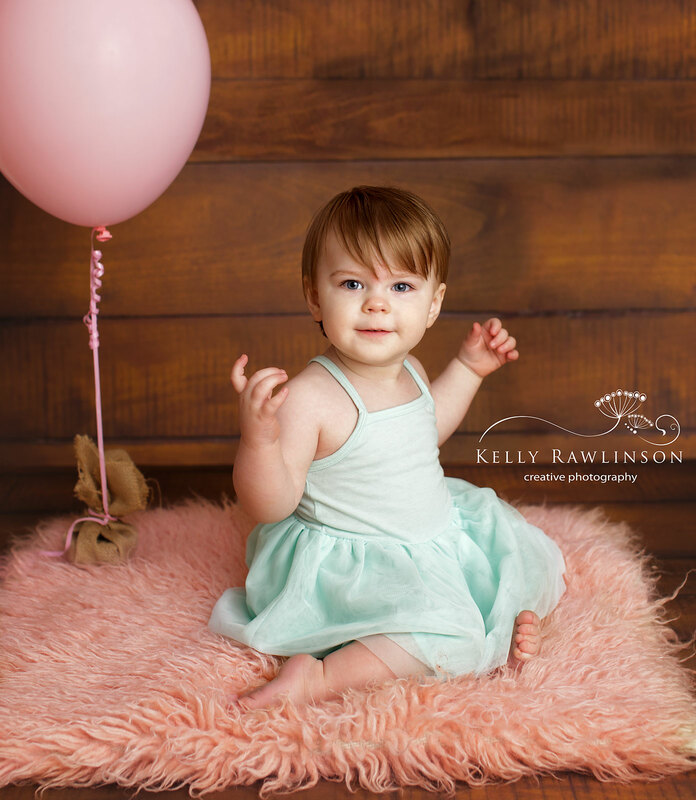 Kelly Rawlinson is a photographer in Willow Beach, Ontario, specializing in maternity, newborn and children’s photography. Her service area includes Sutton, Keswick, Newmarket, Aurora, Bradford, Pefferlaw, Beaverton, Georgina and the North York Region area. 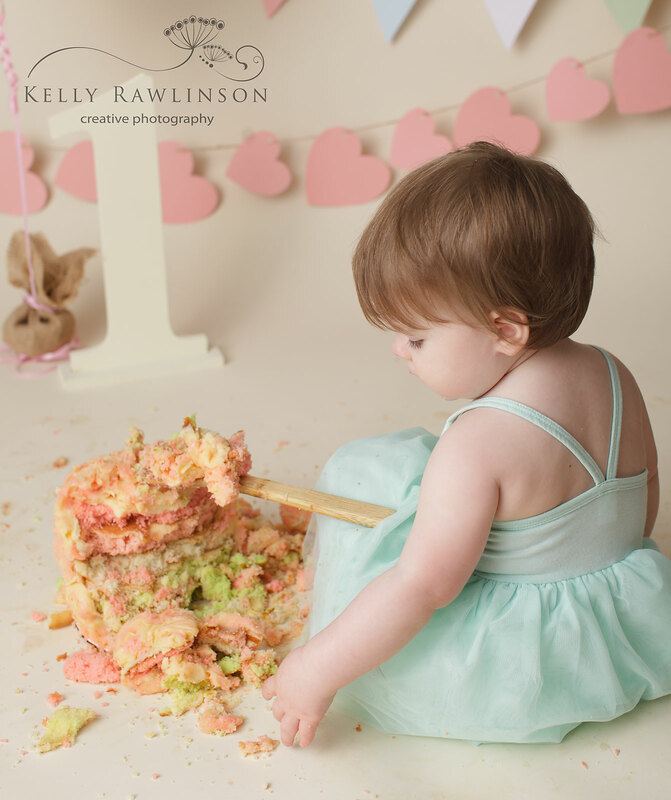 Im interested in a cake smash session for my daughters first birthday. Can you please let me know your pricing, availability and if you are able to provide the cake? I’m flexible..I can come to your studio or we can do it here at my place. Let me know. Thanks so much!